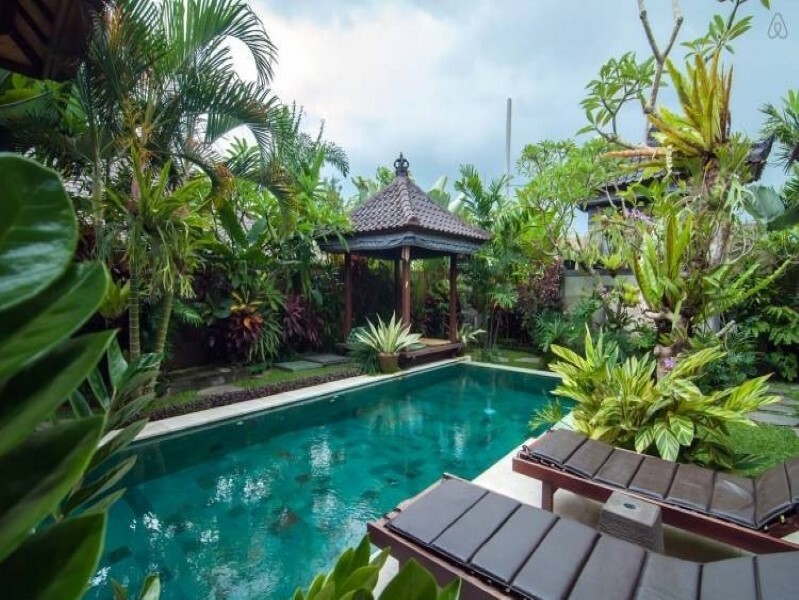 This beautifully gorgeous real estate is located in a peaceful neighborhood of Ubud. 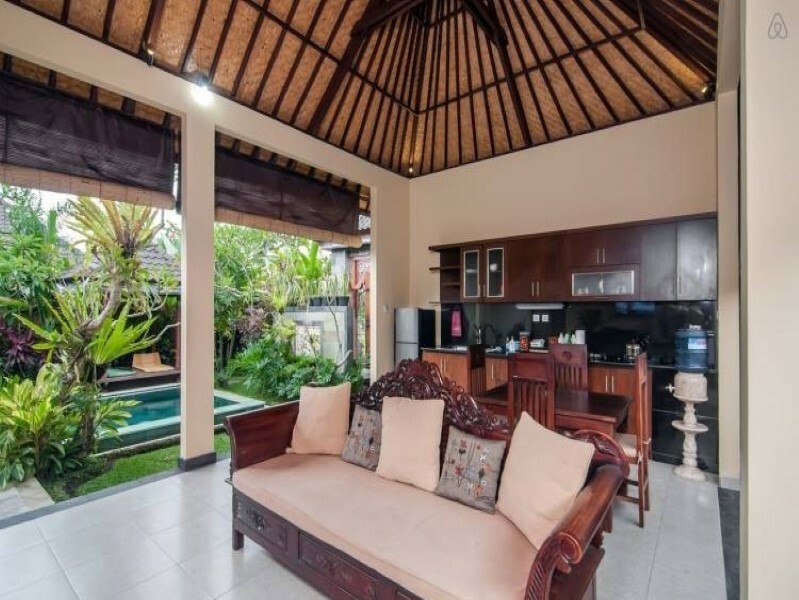 This villa features 2 en-suite bedrooms with exquisite bathrooms. It is built in a unique concept with finest quality materials. 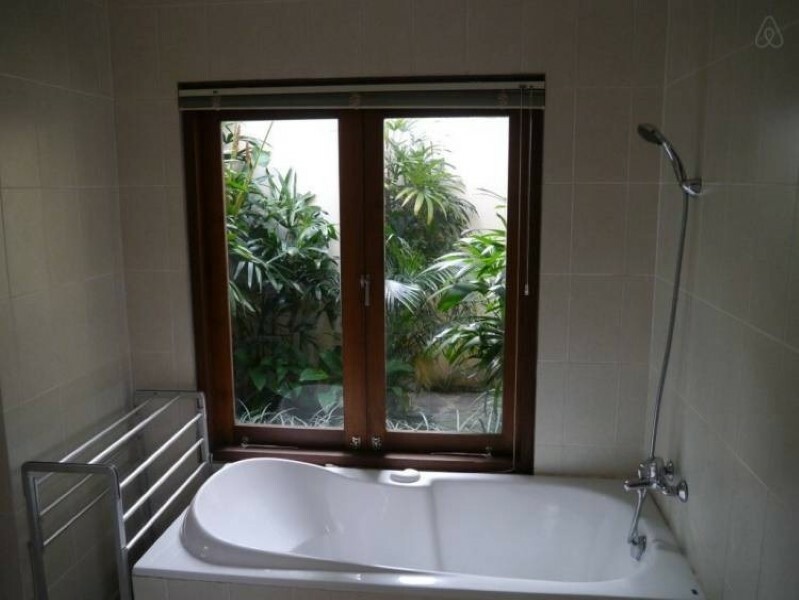 Fully furnished and equipped with luxury living standards. 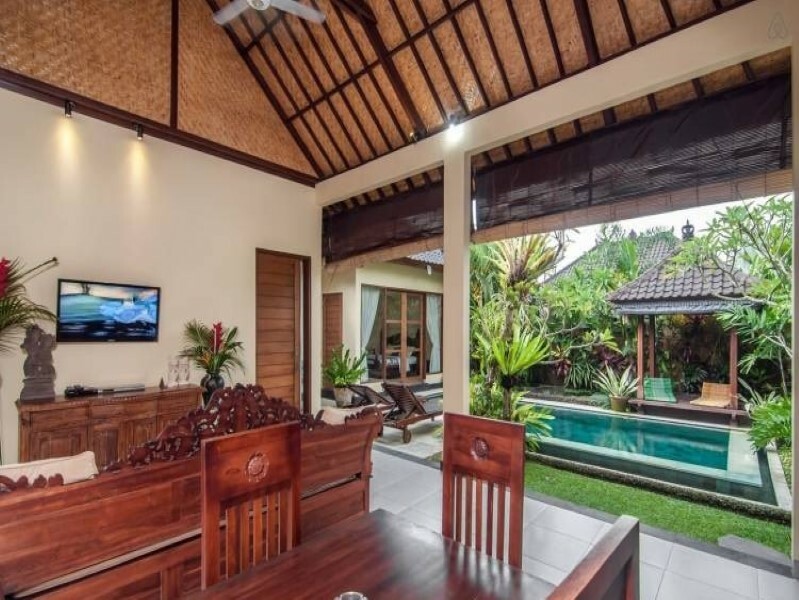 This property generously offers a beautiful swimming pool, tropical trees and plants, stunning comfortable gazebo, open living area, dining area, modern fully equipped kitchen, separate room for storage and a secure parking area. 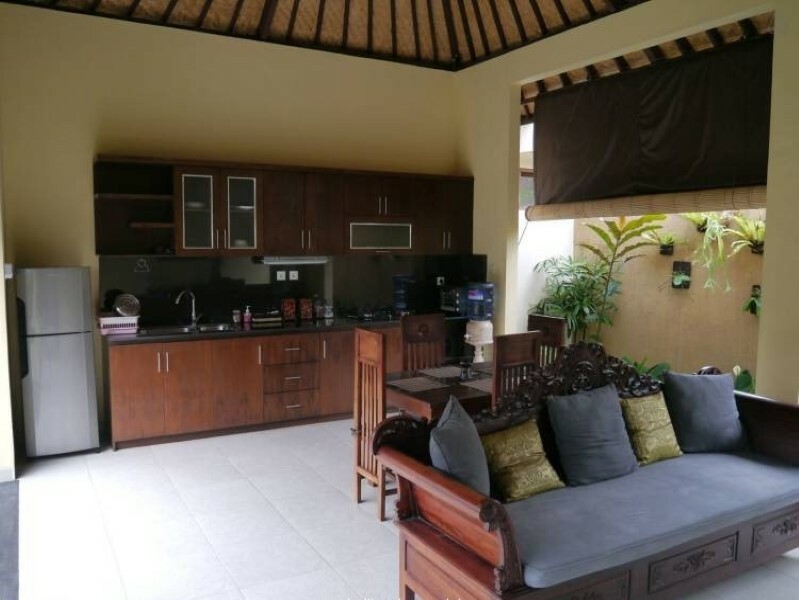 This is a great vacation home available for sale in a peaceful area of Bali. 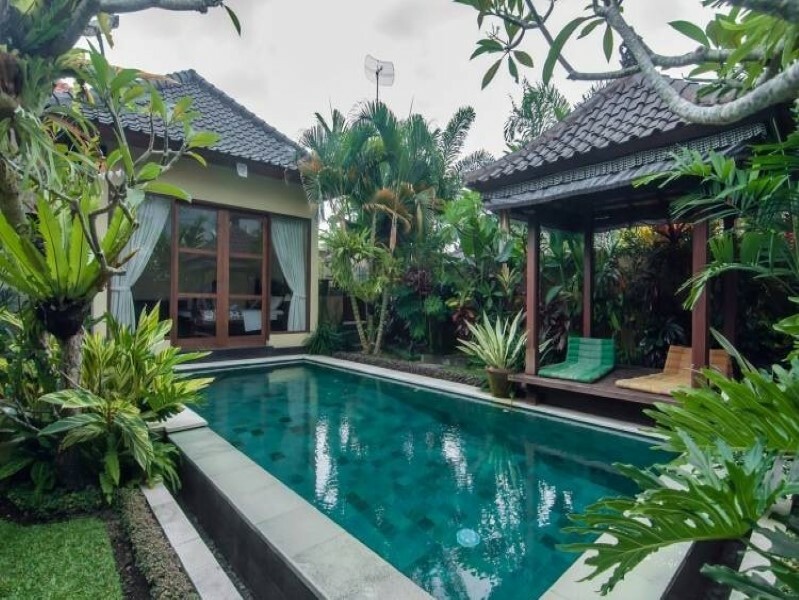 You can buy it on 25 years leasehold and use it as a perfect investment by turning into a rental as it comes along with a pondok wisata license. 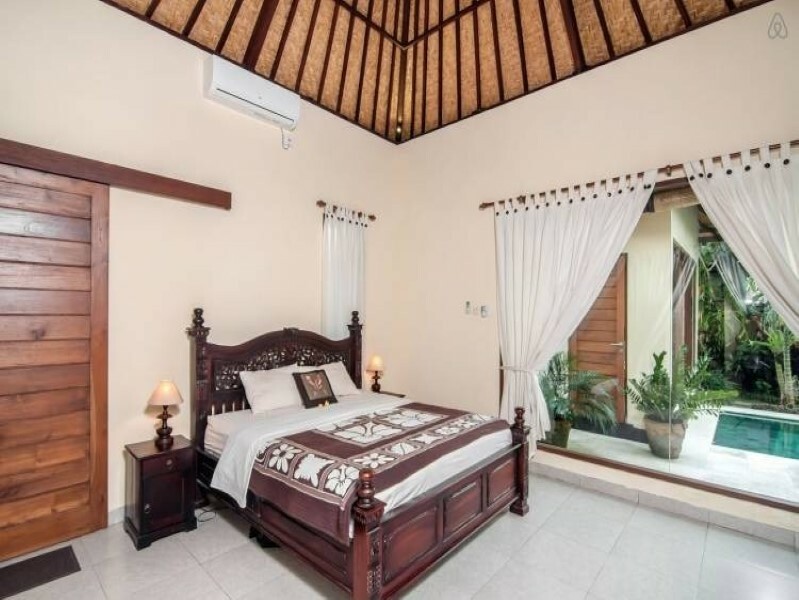 It gives you an easy n minutes away access to the beach, market and other famous attractions of the Island.